Thethi / Theth, Valbone & Vermosh Guesthouse Hotel, Albania. Bus, taxi or hike. - Lake Shkodra Resort, Shkoder, Albania. Camping, Glamping Hotel, Lodge, Holiday Accommodation. Restaurant & Bar. 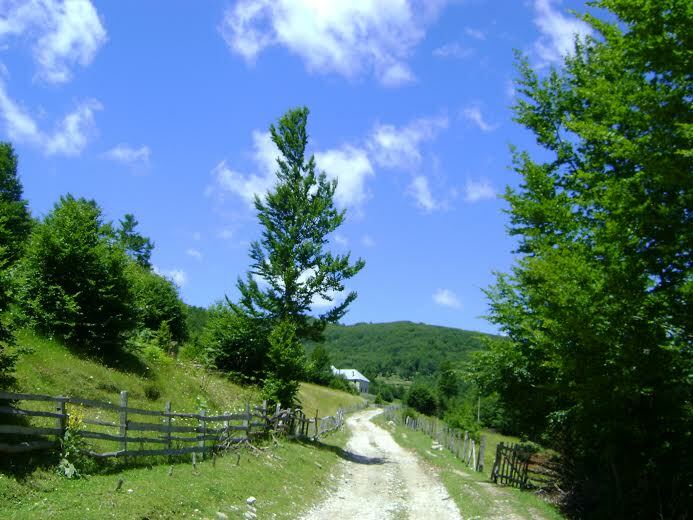 Excursions to Lake Koman, Shkoder, Thethi & Kruja. Thethi Guesthouse Hotel Booking. ​Day 1. Pick up from Lake Shkodra Resort in the morning . Mini-bus to Thethi Guesthouse. 1 night in private bedroom in Thethi guesthouse. Day 2. Free time to explore Thethi. Pick-up from guesthouse after lunch. Mini-bus return journey to Lake Shkodra Resort. Each extra night full board €34 per adult, €17 per child (5-11), child (2-4) €6. Each extra night breakfast €24 per adult, €12 per child (5-11), child (2-4) €2. Day 1. Pick up from Lake Shkodra Resort at approximately 5.45am. Transport to Koman. Ferry from Koman, travel on Lake Koman to Fierze. Pick up from Fierze to Valbone Guesthouse (altitude 815 metres). 1 night full board in Valbone Guesthouse. Day 2. Seven hour hike to Thethi with guide. Leave guesthouse after breakfast with guide. Climb 1000m to the peak of Valbona at 1,815m in 3 hours. Eat packed lunch (supplied). Followed by a down hill hike to the Thethi Guesthouse situated at 900m. 1 night stay, full board in a Guesthouse in the heart of Thethi. Day 3. Pick-up from Thethi Guesthouse after lunch, return to Resort. Price €125 per person (minimum 4 people). €150 per person (minimum 2 people). Optional €40 for horse to transport luggage between Valbone & Thethi. Price includes all transport, ferry ticket, full board in both guesthouses and guide on hike from Valbone to Thethi. ​Minimum 6 people required to do this trip. ​Day 1. Pick up from Lake Shkodra Resort at 8am . Mini-bus to Vermosh Guesthouse. 1 night full board in private bedroom in Vermosh guesthouse. 3 meals and drinking water included. Day 2. Free time to explore Vermosh. Pick-up after lunch from guesthouse. Mini-bus return journey to Lake Shkodra Resort. Parking on camping space in resort = Normal camping prices apply. 1 person + vehicle price. Prices on camping page. Traditional guesthouses located in Theth and Vermosh. Highly recommended by our guests. Good quality home cooked food, clean rooms and basic yet comfortable. Shared bathrooms. Direct non-stop: Lake Shkodra Resort to Thethi/Theth or Thethi to Lake Shkodra Resort or Shkodra city center. 2.5 hour journey each way. Bus picks-up and stops on route. Lake Shkodra Resort to Thethi/Theth or return journey. 2.5 hour journey. Babies 0-1 free when sitting on adults lap. Price includes seats being reserved and booked by Lake Shkodra Resort.